Rabbit anti Human CCL17 antibody specifically recognizes human CCL17, otherwise known as TARC (thymus and activation-regulated chemokine), a member of the intercrine beta (chemokine CC) family, predominantly produced by thymic dendritic cells, which specifically acts as a chemotactic factor for T cells, and signals through binding to the CCR4 receptor. Antiserum to human CCL17 were raised by repeated immunisation of rabbits with highly purified antigen. Purified IgG was prepared from whole serum by affinity chromatography.  This antibody may be used in an indirect ELISA or as a detection reagent in a sandwich ELISA with AHP1919 as the capture antibody. This antibody may be used in an indirect ELISA or as a capture reagent in a sandwich ELISA with AHP1919B as the detection antibody.